by Lorand V. Johnson, M.D. Stephen de Johnston, who lived in the reign of king David Bruce, was the first member of this family. Stephen is said to have been a brother of the laird of Johnston in Annandale. He was a man of learning who retired to the north from troubles in his own country and became principal secretary to Thomas, Earl of Mar. Stephen de Johnston married Margaret, daughter and heiress of Sir Andrew Garrioch of Caskieben, with whom he received a considerable estate in Aberdeenshire, including the lands of Caskieben, Crimond, Cordyce, and others. He also received the lands of Kinbrown, which he called Johnston after his own name. Caskieben became the chief title of the family. Stephen de Johnston and Margaret Garrioch had a son named John Johnston of Caskieben, who succeeded Stephen and who was also proprietor of the lands of Ballindallach. John married Marjory Lighton, daughter of the laird of Owfan in Angus. John and Majory had a son named Gilbert de Johnston, who was designated by the title of Ballindalloch during his father’s lifetime. Gilbert de Johnston married Elizabeth Vass, daughter of the laird of Meny, and they had a son Alexander, and three daughters. Gilbert married, for his second wife, a daughter of Sir Alexander Forbes, the second baron of Pitsligo, by whom he had a son named William. William received the lands of Ballindalloch and from him descend the lairds of Crimond. 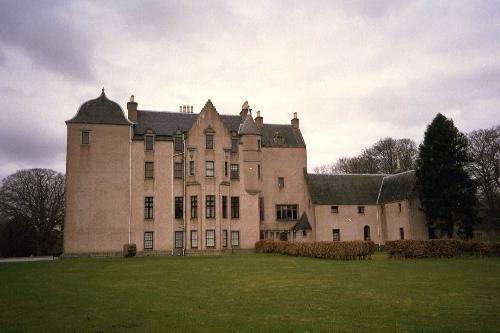 Gilbert was succeeded by his eldest son Alexander Johnston of Caskieben, who during the reign of James II had his lands of Cakieben erected into a free barony, called Johnston. From this time, the family called themselves Johnston of that Ilk. Alexander Johnston married Glaister of Glack, by whom he had four sons. The eldest son, William, was the heir. The second son, “also called William,” married a daughter of John Keith of Auguarsk, from whom the Johnstons of Cayesmill are descended. William Johnston, eldest son of Gilbert, got a charter under the Great Seal, from King James IV in 1508. He married Margaret Meldrum of Fyvie, by whom he had one son, James, and a daughter. William married, for his second wife, Margaret Lunsdain, daughter of the laird of Conland in Fife. William Johnston of Caskieben was killed at the Battle of Flodden in 1513. William Johnston’s heir, James Johnston of Caskieben, maried Clara Barclay of Gartlie, and got a charter under the Great Seal from King James V in 1521. William had three sons and four daughters, and died in 1548. William’s eldest son, also named William, was slain at the Battle of Pinkie in 1547, during the lifetime of his father. However, William the son had married Margaret Hay of Dalgaty, and had a son George Johnston, who succeeded his grandfather James. George Johnston of Caskieben received a charter under the Great Seal from Queen Mary in 1548. He married Christian Forbes, daughter of the Seventh Lord Forbes, and had six sons and seven daughters. The first son, John Johnston, was the heir. The fifth son, Arthur Johnston, weent to Germany for his education and became a physician and poet, and ultimately became physician to King Charles I. George Johnston of Caskieben died around 1590, and was succeeded by his eldest son, John. 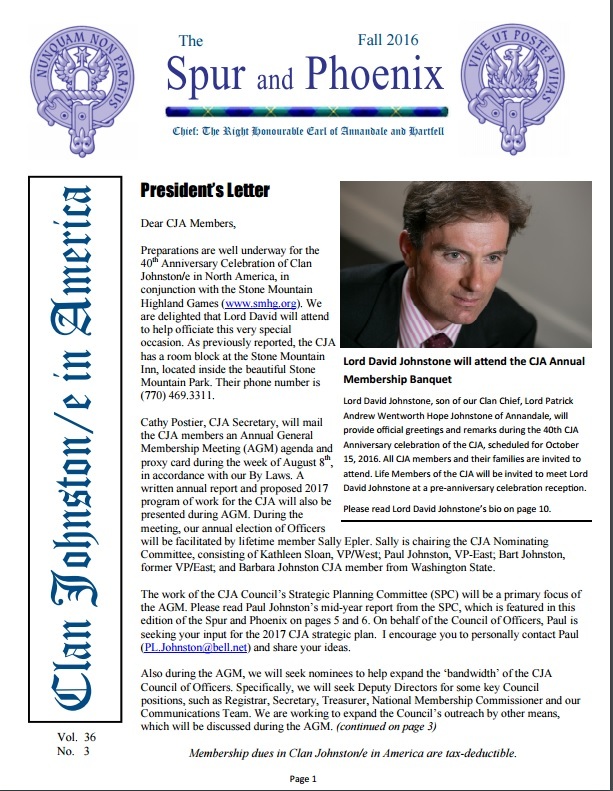 John Johnston of Caskieben received a charter under the Great Seal in 1587. He married Janet Turring, daughter of the laird of Foveran, by whom he had two sons and two daughters. He later married Katherine Lundie, and had additional children. He was succeeded by his eldest son, George. Sir George Johnston of Caskieben received a charter under the great seal in 1615, as well as other charters in 1618 and 1628. When he was 23 years old, Sir George mortgaged all of his properties for a pittance, and when he could not repay the debt his property passed to Alexander Jaffray in 1633. He married Elizabeth Forbes of Tolquhom, and had three sons and two daughters. Sir George Johnston was made a Baronet of Nova Scotia in 1626. He also became Sheriff of Aberdeen in 1630. The first Baronet was succeeded by his eldest son, also named Sir George Johnston, who was the second Baronet. The second Baronet married a daughter of Leslie of Wardis, and had a son, John, who became the third Baronet. 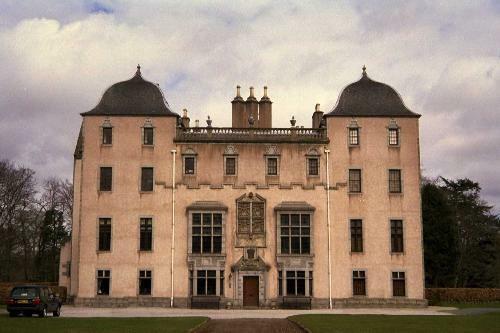 The castle of Caskieban was acquired by Sir John Keith in 1662, enlarged and renamed Keith Hall. Sir John Johnston of Caskieben, third Baronet, was a captain in the army, and served in Flanders and at the Battle of the Boyne. He was involved with Captain James Campbell, who forcibly abducted and married a thirteen year-old heiress named Mary Wharton. Miss Wharton’s relative, Lord Wharton, obtained a proclamation from King William offering a reward for the capture of Campbell and Johnston. Campbell escaped to Scotland. However, Johnston’s landlord betrayed him for 50 pounds, and he was tried at the Old Bailey and was executed in December 1690. He was succeeded by his cousin John Johnston, son of John Johnston of Newplace, second son of the first Baronet. 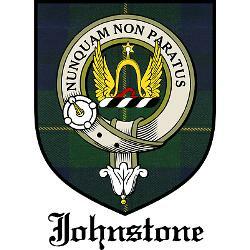 John Johnstone, fourth Baronet married ____ Mitchell, and had one son, who predeceased him, unmarried, and two daughters. In 1700, the fourth Baronet changed the name of Newplace to “Caskieben,” but he lost the property to his father’s creditors in 1707. Later, he led his followers in the Jacobite cause, to defeat at the Battle of Sheriffsmuir in 1715. When the fourth Baronet died without a male heir in 1725, the representation of the family devolved upon his cousin, William Johnston of Craig. William Johnston, fifth Baronet, lost Craig by bankruptcy. His son, William Johnstone, sixth Baronet, married Elizabeth Cleland, and lived his life in London. William Johnston, seventh Baronet, married Mary Bacon and caused the bankruptcy of his son, Sir William Bacon Johnston, eighth Baronet. Sir William, ninth Baronet, died unmarried in 1917, and the representation of the family devolved on collateral descendants from the sixth Baronet. The family of the present representatives of Johnston of Caskieben moved to Mobile, Alabama, in the United States. Sir Thomas Alexander Johnston of Caskieben, 13th Baronet, a lawyer in Mobile, was one of the founding members of Clan Johnston/e in America. His son, Thomas is the current representative.